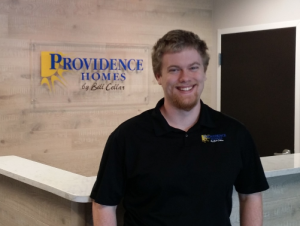 Providence Homes is pleased to congratulate William Kelly, our Sales & Marketing Coordinator, on his first anniversary with Providence Homes. During this short time, his enthusiasm and attention to detail have made him an invaluable asset for our entire team. We’re so very proud to have William as part of our team and look forward to many more anniversaries to come! Congratulations and thanks for all you do!